June 21, 2012 in Ingmar Bergman | Tags: hos before bros, queer content (suggested), you think your family is bad? My across-the-street neighbor, S___ came home yesterday, and everyone along the block knows: she has come home to die. She was diagnosed with Stage 4 lung cancer last December, and although she was responding to treatment, a week ago, her condition deteriorated, and, since then, her house stood empty. Her husband’s cars were nowhere to be seen, except, probably, at Christiana Hospital. Then, yesterday, a van pulled up to her house, and a triangular sign warning visitors about in-use oxygen appeared on her front door. Weeks, I understand. A few months at most: her platelet count is down to 40,000; 100,000 is the minimum necessary to continue chemo. The other day, her grown daughter swept out the living room, preparing to convert it into a bedroom; S___’s mother was also there. They are the start of it, the parade of friends and family paying their respects, as if their presence can make her more comfortable. 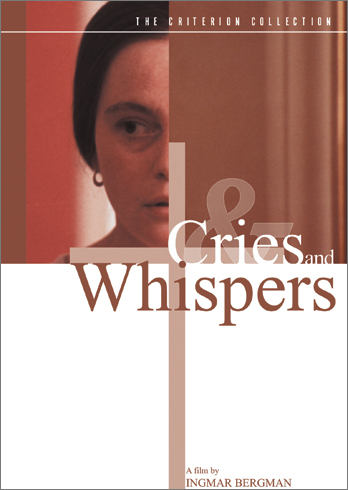 Death, in Cries and Whispers, is both frightening and horrific. Agnes, suffering from an unspecified cancer, has long fits where she can’t breathe. Her torso contorts as she gasps. She clutches her skin from the pain. Her sisters, emotionally distant and self-absorbed, are unable to cope and refuse to comfort her. The visuals themselves are uncomfortable: the scenes are drenched in a hyper-sanguinated red, a color which, to Bergman, represents “the interior of the soul.” The walls: red. The window treatments: red. The carpet: red. The screen fades to red. When death comes, Bergman seems to say, everyone’s soul is laid bare. Isn’t that what you’ve come to see? The drapes covering the living room window where S___ sleeps were once red, but, after years of constant battle with the sun, are now vermillion. Paper cut-outs of numbers and letters are taped to the glass, reminders that S___ once ran a daycare out of her house. Those, too, have faded; no one can remember what color they once were. “I’m at peace,” S___ said. “A lot of children have been in and out of my house. I’ve touched a lot of lives.” She still had hair when she said this. When I last saw her, her head was wrapped in a bandana, and she was bloated. She didn’t seem to be in pain, but this was what I saw on the outside. Cries and Whispers ends on a note of grace: Agnes, in her diary, describes walking with her sisters and coming upon a swing, the three of them together again, and happy, for a moment. So I end with this moment with S___: a summer night, when she had just finished a ride with her ladies’ motorcycle club. The smell of exhaust dangled in the humidity. S___ sat on her stoop with her then-neighbor and motorcycle buddy, and when the two of them saw Matthew and me returning home, they called us over. They had an iced pitcher of margaritas at the ready. And despite the insects swarming around our exposed skin, despite the obnoxious cruisers zooming down the street at unsafe speeds, we were, for a moment, happy.